The 2017-18 Common Application opened for business earlier this week (August. 1). Chances are you will soon need to know how to format your common application essay. If you are on the ball, you might be ready to apply to specific colleges and universities and need to submit your core Common Application essay, as well as other shorter essays required by certain schools (often called Supplemental Essays). Or you are still getting ready or working on writing them, but will need to know how to format your common application essay(s) in upcoming weeks or months. I’m sharing below 20 of the most common questions about college application essays that I have been asked over the years, along with links to longer explanations and related helpful information. 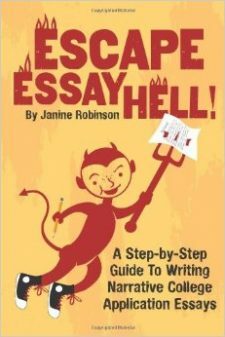 This spring I published a book with these and 30 other questions and answers, called Essay Hell’s 50 Most Commonly Asked Questions about College Application Essays.